The Infrastructure and capitals Project met on the 9th July. There was much discussion including valuable input for the Independent members. the CAR has now been chogging along for a frustrating length of time. However, it is important to get the framework right so that what follows is logical, affordable and equitable. Trying to find m car park on King William Rd can be tricky at times so if Council can gain more car parks by relining at least one of the existing parks ( Boffa St) then this should go ahead. As one member stated you can always get a park it's about knowing where they are. 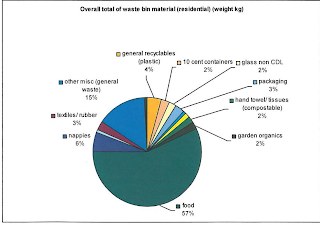 The waste Management Strategy was very informative and left few gaps, although some members wanted more information on the financial aspects of waste collection.The data in the report was compelling See below). 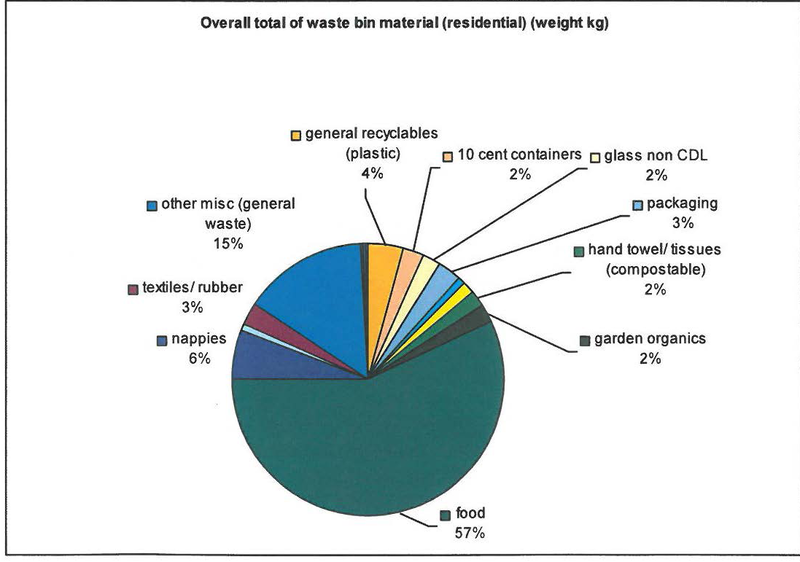 Over half of what we (collectively) put in our blue bins is food waste.This should be composted or bagged and put in the green waste bin.The challenge for Council is to ensure that our new contract, from late 2014, includes incentives for residents to reduce waste and cut Council's costs while still being profitable for the preferred contractor. 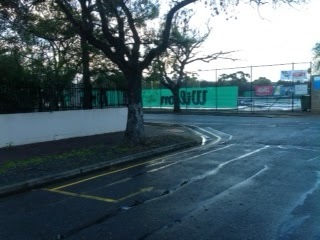 Residents are very unhappy that Tennis SA have removed the black shade cloth from their fences and replaced it with a green shade cloth emblazoned with advertising. This appears to have occurred without any consultation with Council or residents. Don and I will investigate this and see if we can have it removed. After the two meetings this week on this matter that residents were invited to attend many residents have added their views to the draft Local Area Traffic Management plan. I encourage you to have your say on this one in writing to the Council. There seems to be little support for the one way traffic proposal for Canterbury Tce with fears that it will be more difficult for residents to came and go and that traffic will be diverted to Coulter Ave and Fairmont Ave. 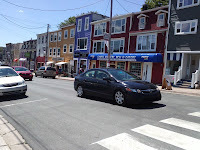 The consultants made the recommendation for a one way street to, in their opinion, make the street safer for an influx of cyclists that it is anticipated will use the Greenways path. There is enough room in Canterbury to have 2 way traffic and cyclists but only if the dying ash trees are removed and not replaced (East Ave to Fairmont). Is it possible that some good/innovative street art could also look attractive? So please have your say so Council can get it right. This is your chance to get a little more for your rates! Hope to see you there. How Council works with our community now and in the future! 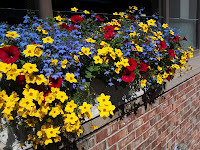 "Building Social Capacity for Positive Change"
How can we strengthen our community’s capacity to lead, connect and thrive? Residents in Arundel Ave were woken last week to the sound of chainsaws destroying a significant tree near the corner of Grantley Ave. While DPTI had promised to give adequate notification of this event they letter boxed late on the evening before ( well after most people would check their letterbox) and then destroyed the tree early the next morning. This tree was significant and in the early assessment of trees by DPTI and consultation with Council was to be saved, any works near the roots were to be dug by hand so as to not damage the roots. Nevertheless, in April Theiss York's contractors failed to follow the advice and used a mechanical device to dig a trench near the tree and in doing so severed almost all the roots to the west of the tree. An report was immediately requested in a bid to see if the tree could be saved, and the eventual answer was that it would be unsafe to leave the tree in place. By the arborist's assessment this tree was worth $52,000. It will be replaced, at best, with two $17 trees. Council's experience in suing over tree damage (Walford) resulted in legal fees that far outweighed the money sort in compensation. Why is it that these people see that trees are easily replaceable when in fact, they are not. On the same day I had a report from two residents describing irresponsible treatment of significant trees at development sites in other areas of Unley by other contractors. Staff are investigating these and, hopefully, the damage is not fatal. If anyone would like a copy of the reports I'm happy to email them to you. If it safer to drive with your lights on? If so wouldn't this be an easy one? There were three deputations, one regarding parking permits, one regarding sponsorship for the fashion event on King William Rd and the other supporting the Where Business Meets Youth initiative. Ron Young Policy Review; there were minor changes to be made to this to reflect that the Community and Culture Committee would recommend the suitable applicants. Lease 41 Oxford Tce by Kirinari School; while I supported this I am not keen on seeing leases come to Council where lessors attempt to reduce the rate by claiming they only need it during the day, etc. In this case the area is fenced to prevent children getting out and this fence would be just as effective in stopping members of the public from getting in! Megaswim Fundraising; this event is now well established, Council voted to continue to fund for another 2 years and to reduce entry fees for swimmers to zero. Agreement for use of the pool by the Unley Amateur Swimming Club; this was regarding of lane hiring to allow for swimming practice. Kaurna Indigenous Land Use Agreement; the Kaurna people have spent much time in developing an agreement about the use and management of land and waters between those who hold, or may hold native title in the area and other people , organisations or governments. it is hoped that 27 Councils will sign up for this agreement. However, if you attended the meeting you would have seen Council at it's worst. The debate lasted for well over an hour, was unfocused and much of the questioning irrelevant or time wasting. In the end Cr Hudson was asked to leave the chamber as the Mayor deemed his behavior to be unacceptable. The motion passed by 1 vote. 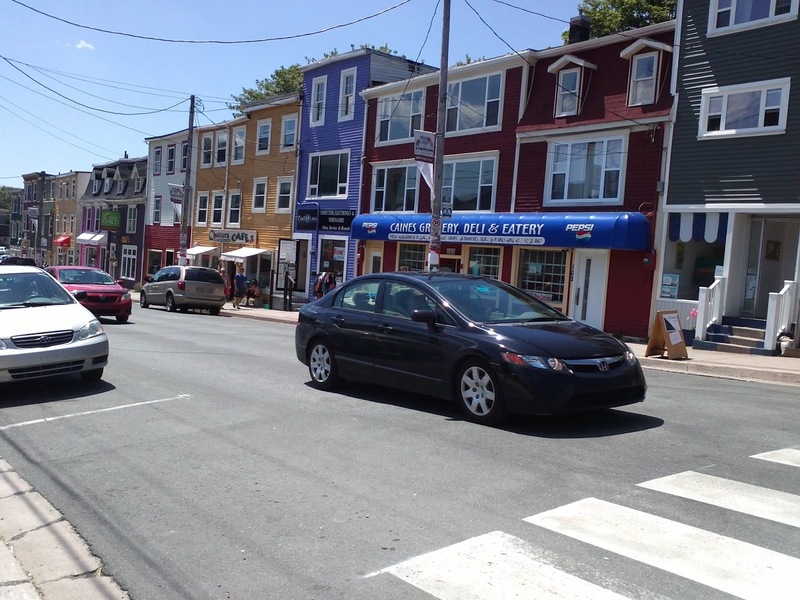 Review of the Decision Making Regarding the Pedestrian Refuge on King William Rd; Although the consultant found some errors in the process it supported the decision made. However, Cr Koumi moved for the crossing to be located further to the north. As this was effectively a rescission motion it could not be accepted and the matter was deferred to the next meeting. Smart Energy Possibilities; Council have discussed alternate methods of providing street lighting. The first step in getting a workable plan is to do an audit of the existing infrastructure. This was approved. This is an exciting initiative and could save many thousands of dollars over time. Strategic Land Acquisition; From time to time vacant blocks of land are available that could be developed as parks. Council does not have a strategy or budget to manage this or to prioritise purchases. This asked for an approval to instruct staff to develop such a strategy. I received with my junk mail today an invitation to send a message to our Premier, Jay Weatherill. As it headed toward the recycling with the rest of the stuff I realised this was actually of interest. The Cancer Council is asking for everyone to send on the post card. 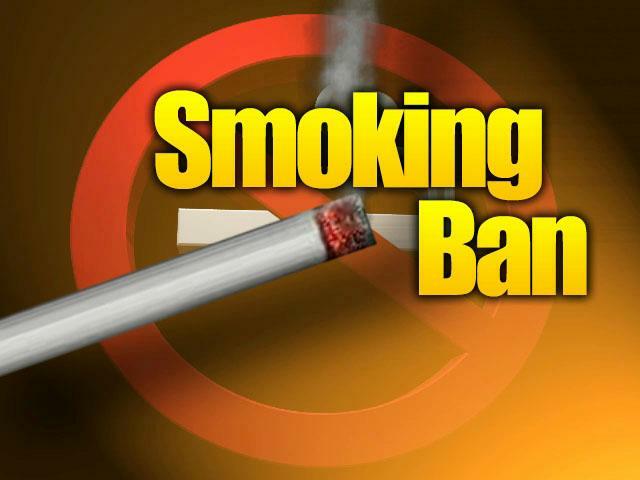 The matter of concern is the matter of cigarette smoking in outdoor dining areas. In May 2011 the then Health Minister, John Hill, promised that all alfresco eating and drinking areas would be smoke free by 2016. At this time no legislation has been introduced to the parliament to ensure that promise is kept. 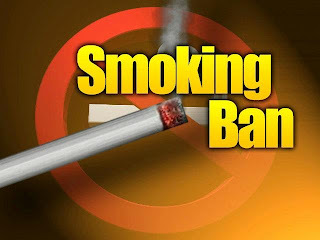 After returning to Australia on Saturday after 6 weeks in the USA and Canada it would seem that both of these countries are now well ahead of us in the protection of workers from the dangers of cigarette smoke, not once did I cough or sneeze when someone lit up at the next table, it was wonderful. When you get your postcard please send it on, if it makes a difference the effort will be worthwhile. still seem to get enough plastic bags when I shop that I rarely need to purchase any. You might wish to take the time to check the following link and Have Your Say about how Councils should be organised and managed in the future. It is probably true to say that if you do what you have always done you'll get what you've always got, so change, well managed is a good thing. One of the most pressing things for Local Government is the amount of revenue needed to retain and improve the amenity of the City without exorbitant rate rises. Local government must find other income sources other than rates if this is to happen. One of the other ideas explored is maximum years of service for Councillors and Mayors. This seems to me to be something that needs exploring as many good people choose not to run as they need to take on two incumbents that exchange preferences. This would also give more opportunity for new members and maybe add some diversity to those who represent you. The following information came through as a comment but thought I would add it here as otherwise it would be lost in history.. You'll need to cut and paste them. Many of you have been waiting for the meetings to discuss landscaping opportunities along the new bikeway. Residents will be letter boxed this week regarding a meeting July 18th for Cromer Pde and July 25th for Canterbury and Parker Tces. Please take the time to fill out the attached form and send it to Council or attend the meetings. While landscaping will be discussed so also will be the opportunity for public art to enliven some of the spaces. Meetings will be attended by both Council Staff and DPTI. I understand that the throw screens were discussed at the most recent CommunityAdvisory Group meeting and that those present were happy with the suggestions presented. CPCC will be holding an ARTY Party on Monday the 15th July (12-3.00pm) to celebrate their 30th birthday. 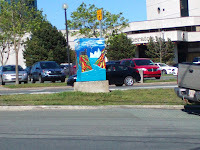 Those attending will be asked to contribute to a community art work that will be displayed at the centre. Please come and share soup, muffins and birthday cake if you have time. I remember all those years ago when I was pregnant with my older son and considering what opportunities would be available in the community for us as he grew. What a lovely story from John Stokes at the Eastern Courier. PRIMARY school students are providing a home for birds whose habitats were destroyed during the Goodwood rail redevelopment. 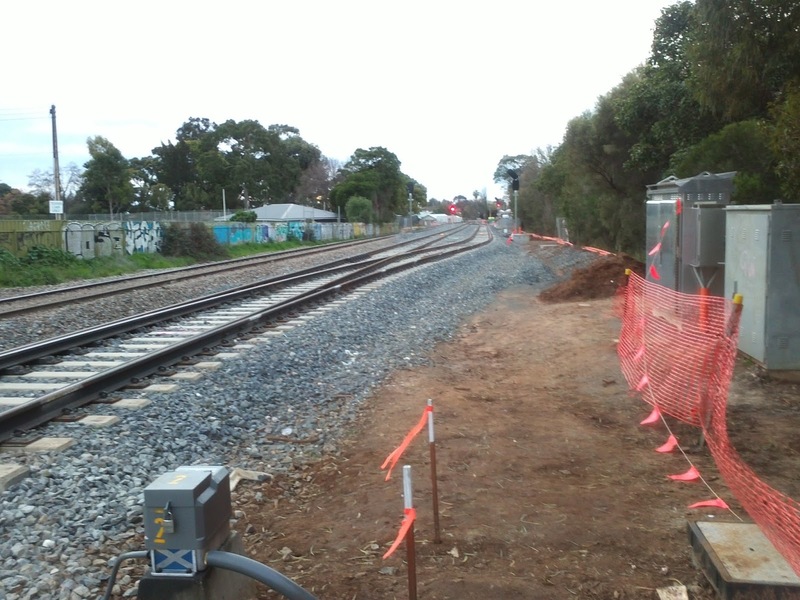 More than 75 trees were axed as part of the project to build an underpass separating the freight and passenger lines at Goodwood Junction. Last month about 50 students from Goodwood and Black Forest primary schools took part in bird box building workshops at the Clarence Park Community Centre’s Men’s Shed.The boxes will include cameras so students can keep an eye on the birds. Lyssie, 11, was looking forward to inspecting the boxes. "We can see what’s living in there and if they’ve laid any eggs," she said. The Transport Department and Unley Council will help install the bird boxes. There seems to have been some press, radio and Eastern Courier, about Unley Council's so called approval of a plan to upgrade Unley Oval to SANFL standards. I was not able to attend the recent Council meeting and have my say. However, what was approved was the draft CONCEPT plan. This plan includes and supports the needs first of all for all the people in Unley and their recreation needs and then the members of the Sturt Bowling Club, the Sturt Tennis Club and the Sturt Football Club as well as trying to also accommodate the Sturt Cricket Club. Bringing the club rooms up to whatever standard is required needs , in some part, to be met by the football club themselves. Council will now proceed to getting some detail in the plans. No commitment to any change has been made at this time. 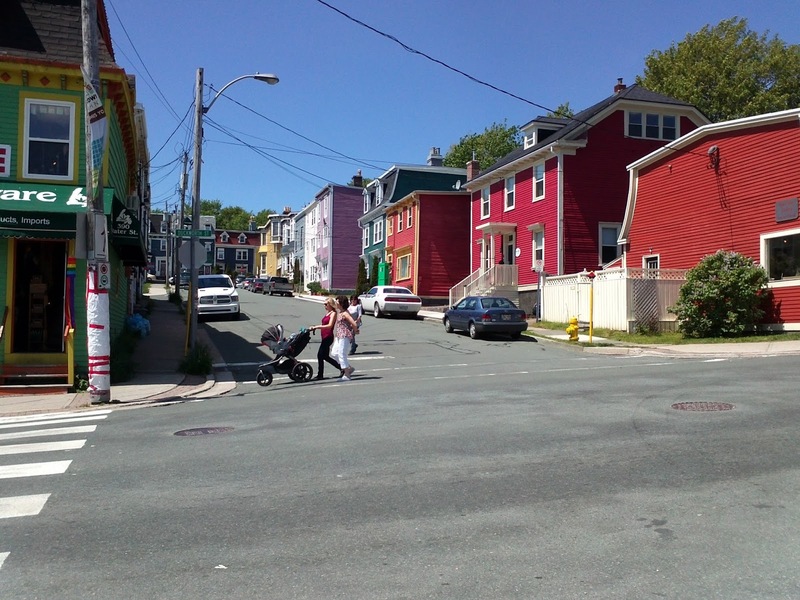 Residents should carefully examine the fencing suggested and how it will work ( I can only see perimeter fencing in the plans), the narrowing of Frederick St to accommodate the movement of the oval to the north, and if the recreational space available to residents is useable and adequate. A small group of people are now working on the feasibility of re-opening Millswood Station. This has been on the back burner for all of this Council term and the committee of Council disbanded. However, I have heard that after the changes made by DPTI through the Goodwood Junction project this is now at least a possibility that may be worth lobbying for. Interest has been expressed by Stephen Key, David Pisoni and Mark Parnell. At this point in time the group is only looking at feasibility, that is does the infrastructure allow for this? Given that one of the restraints of the current Belair Line was that services could only be offered at 30 minute intervals has now been debunked with the soon to be operating 15 minute schedule it would seem anything could be true. WANTED: local residents to provide friendship and conversation to Unley residents in Aged Care. Within the suburbs of Ridge Park, Myrtle Bank, Fullarton and Parkside, lonely and isolated residents are living in aged care facilities. Through the Community Visitors Scheme, residents can be given the chance to engage in conversation and provide friendship to our elderly community members once a week or once a fortnight. Many of the solutions that residents have been working with/lobbying for with DPTI are now looking as though they might be resolved; not to the satisfaction of everyone but with some compromise on both sides. Unfortunately DPTI have not treated people well or often considered that their opinion should be considered in the planning process. There will be an additional Council meeting in July to get through additional business. As I can't attend this I have requested that the Unley Oval Masterplan recommendations be held over until the scheduled meeting later in July. I believe this should be decided by all members. Not that at this stage it will require additional budget allocation (it was always intended to be developed with grant funding if and when available)it's just that I want to have my say. Canterbury and Parker Tce should be consulted soon about the options for revegetation. Plans may also include making Canterbury Tce left turn in only to allow for additional cycling and pedestrian safety. Residents are concerned about traffic in Mitchell St following the implementation of the slower speeds on Goodwood Rd. Residents are also concerned that some of the trees in Frederick St may have been damaged by the new kerbing. Unley Oval Masterplan; this is worth a read. Although much is proposed to stay the same there will be significant costs if this was to be implemented. While further work needs to be done for the proposed works to be grant ready this will be necessary if we want to get money from sources other than rate revenue. Realistically this is a long term project. There are a few changes that might allow for the Sturt Cricket Club to also use the space. However, to me, the rebuilding of shared club rooms will be the major cost and not one that the City should be paying for. Animal Management Plan; once again an information report. But interesting to know that there were 20 reported dog attacks and 85% of dogs impounded are reclaimed or reformed. The following appeared in the Sydney Morning Herald last week. It is good to see that this project has been completed by Unley. This is the start of many projects that will also help to reduce the chance of flooding downstream. Well worth taking a look if you have time, it's just off Glen Osmond Rd. The City of Unley in Adelaide will save up to 98 million litres of drinkable water per year and have more secure, safe and sustainable water supply for the local community under a Federally-funded stormwater harvesting project. Canberra has contributed more than $2.5 million towards The City of Unley Stormwater Project, which involves installing stormwater harvesting and reuse infrastructure at locations across the city. The stormwater harvested from the project will be used to water parks and reserves within the City of Unfey and, in turn, benefit the wider community by reducing the demand on Adelaide’s drinking water. The project will also reduce the potential for flooding within the area, and decrease the amount of urban run-off that enters local creeks, by re-directing and storing stormwater for later use. Federal Member for Adelaide, Kate Ellis, said the project would help secure the municipality’s water supply for the future. "Not only will the project save millions of litres of drinking water, it will also return council’s open space to pre-drought conditions (2005-06) and improve conditions in local parks and reserves for the community," Ms Ellis said. "By saving potable water~ the project puts into practice good water resource management that uses water wisely, secures water supplies, supports healthy rivers and takes action on climate change." The City of Unley Stormwater Project is funded through the government’s Water for the Future initiative under the National Urban Water and Desalination Plan. Once again Unley has won a staged start for the Tour Down Under. This, plus the preceding Gourmet Gala is a major event for Unley. Above is the link to the Black Forest Local Area Traffic Management Study. Sorry, but my iPad won't turn it into a link but cutting and pasting should work. I'd love to get your comments to share with others. Remember when writing your submission to say what you love, what you hate and how you would tweak it to be just right. Send them to Council as well please. Rise affects vulnerable PRICE hikes for Unley Council’s home support services will hurt those who can least afford it, social welfare bodies say. Unley has lifted the fees paid by elderly, frail or disabled people for its Home and Community Care services. The hourly rate for domestic assistance has increased from $11.50 to $15. John Stokes The above recently appeared on the Adelaide Now site and Eastern Courier. While this seems like a sizeable increase it does mean that Council can offer a service to a greater number of people. The cost of providing the service is closer to $40 /hour. However, what the numbers don't tell you is that each individual requesting the service is considered on a case by case basis and that those most in need will continue to pay nothing or a reduction in the cost. This is a valuable service that is much appreciated by the elderly. The Belair line will open on the 14th July. 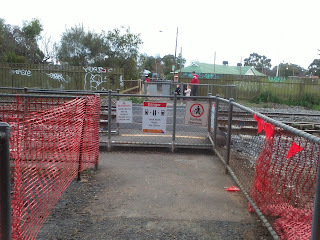 See http://www.adelaidenow.com.au/messenger/east-hills/belair-rail-line-to-reopen-transport-minister-chloe-fox-announces/story-fni9lkyu-1226672441341 If you catch the train at Goodwood or Unley Park you might want to check put the new time table at http://www.adelaidemetro.com.au/routes/BEL. Interestingly, there will be more trains running more often, this notes the first step toward normality in this project.